Silence can be deafening. Especially when you don’t know what to say. The blank space is there waiting for you to fill it. To make it all better. When my friend Kara Tippetts was fighting breast cancer, I learned a new normal. I remember her talking about how it was okay not to talk. The Gift of Silence, she called it. I’d never thought of it that way before. I’d thought of words as a gift. But in the many times we sat together while Kara was sick, silence did become precious. 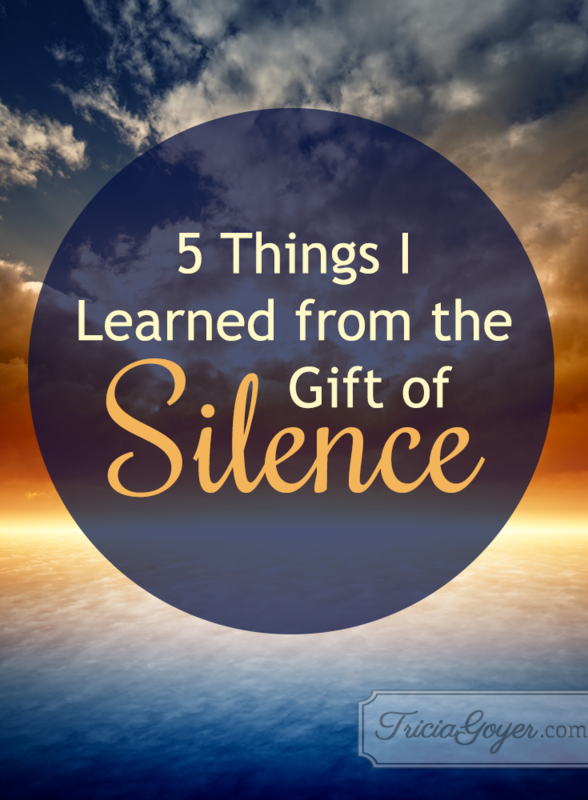 Through Kara’s illness, I learned a few things about how to navigate the unexpected gift of silence. I learned to choose wisely. What I really wanted to write there, was that I learned to shut up. But that phrase has such a bad connotation. I don’t love hearing or saying it, but in this situation, it really rang true for me. To simply close my mouth, to realize everything I’m thinking doesn’t need to be spoken was a great step for me. I would often filter what I was about to say. Did it need to be said? Was it going to add to the moment or detract from it? Sometimes I said it—whatever it was. Other times I opted not to. Thankfully when I said the wrong thing, Kara had grace for me. I stopped offering cures and fixes. This was a hard one for me. It was so incredibly painful to watch Kara suffer. We all wanted to fix it. To make it better. But many times, when our friend or loved one is suffering, we can’t band aid it. They are fighting. They are making the choices. My job was to support and love. It felt too simple, and I wanted to do more. But what Kara needed wasn’t directives or suggestions. She simply needed us to sit in the trenches with her. I learned to say something. Before Kara, when I would see someone who was suffering, be it cancer or loss or any other debilitating illness, I would be so afraid to bring it up that I didn’t say anything at all. I thought I was helping—protecting them even—but now I see that I wasn’t. Kara was already thinking about cancer. If I mentioned it or said I was praying for her, she welcomed that. Saying something doesn’t mean asking hard questions, it simply says, I see you. I see your hardship and I’m going to love you through it. I’m here for you. In the same way, with loss, we are not ruining someone’s day when we mention a memory of their loved one or that we’re thinking about them. Better to say their name, to bring them up, then to let their memory fade. It’s okay for encouragement to be simple. I know I need to say something when someone is suffering, but I don’t always know what. I don’t want to ignore what they are going through, but sometimes I don’t have the words. Often, I will simply hug a friend and say I’m praying for them. An encouraging text can be sent. A card in the mail. Even a voicemail that says I’m thinking of you. These are all ways we can encourage without having perfect words. And another gift you can give? Don’t expect or require an answer. Let your encouragement be simply that, without any effort or return on their part. I started to savor the silence. Kara often slept while friends were with her. I look back on those moments and think, we didn’t need to be there. But we all craved that time together. As Kara faded, each minute was precious, and being with her even while she slept was comforting. It was her personality to want people around—I’m sure we wouldn’t have done it otherwise. But she liked the comfort of opening her eyes to see someone there. Just to be in each other’s presence was a gift, and many times there were no words exchanged. During the few years I knew Kara, I remember coffee dates and play dates and birthday parties and school functions. But I also remember the moments in between all of that. Hospital stays and chemo. Helping with the day-to-day needs. Despite the hard days, those memories are incredibly special to me, even though they weren’t always filled with conversation. When you’re with a friend or loved one who is suffering and you don’t know what to say or do, be at peace. Trust God to guide you and remember that your presence speaks for itself. The only language we really need is love. 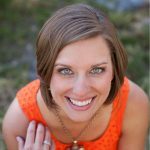 Jill Lynn Buteyn is a co-author of Just Show Up with Kara Tippetts, and an author of inspirational romance (as Jill Lynn). She lives near the beautiful Rocky Mountains with her husband and two children. Jill’s a fan of laughter, thrift stores, boots and chocolate. Tricia, thank you for having me today. You are a gift to so many. <3 Thank you for sharing your words with the world! Thank you for sharing your heart with us, friend!